Less than a third of people (32%) said that they were happy with the flavour of supermarket strawberries, while even fewer people (31%) said they were satisfied with supermarket apricots, according to a poll by consumer association CLCV. The study polled 900 consumers in 25 departments across France between June and July. It also found that consumers did not believe there was much correlation between the price of fruits or their origin, and the intensity of their flavour. 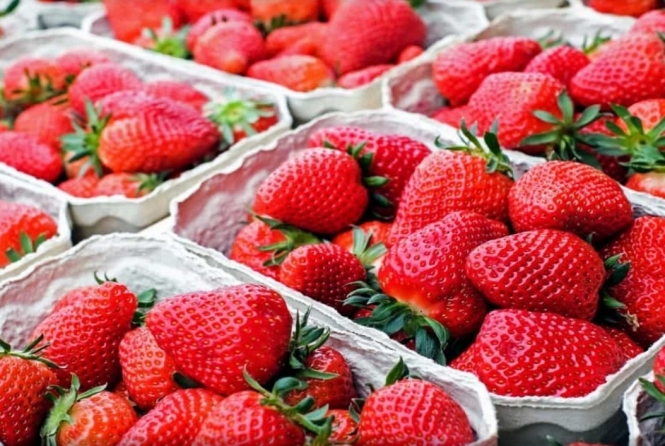 Shoppers said they could taste little difference between French strawberries and Spanish ones - with just slightly more (33%) saying they enjoyed the French flavours than the Spanish (30%) - even though the former were almost twice as expensive as the latter - €10.90 per kilo versus €5.60. Apricots told a similar story: just 27% said that they thought these fruits tasted “right”, versus 42% who said that they were “not happy” with their flavour. There was less difference between price here, however - with French apricots costing €4.40 per kilo, versus the Spanish ones at €4.20. A parallel study done online, also by the CLCV, drew similar conclusions, with 68% saying they were “fairly or completely unsatisfied” with the flavour of fruits sold in large supermarkets. The biggest issues included the maturity of the fruit, the flavour, and how long the products lasted. Consumers were also worried about how the fruits had been transported and stored ahead of their sale, and the levels of pesticides that may have been used. In response, the CLCV has called on supermarkets to “show better information in the shop”, including more information on the origin and the variety of fruits on sale. The survey comes just days after the national debate on the use of pesticides has been reignited, with US firm Monsanto demanded to pay $289 million (€253 million) to a gardener whose cancer was deemed to have been caused by the Monsanto herbicide glyphosate. Similarly, a new app, Yuka, which shows the amount of pesticides and additives used in supermarket food products, has now been downloaded five million times in France as consumers seek to learn more about their purchases.